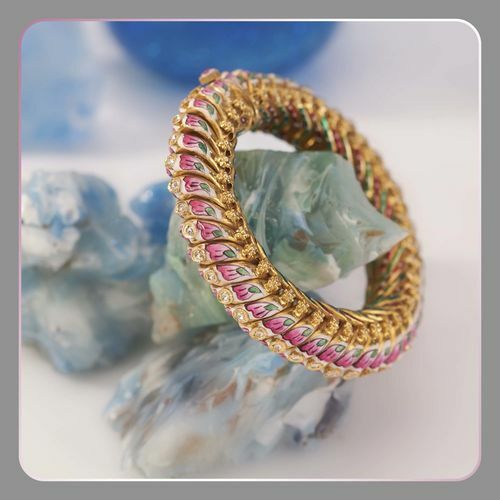 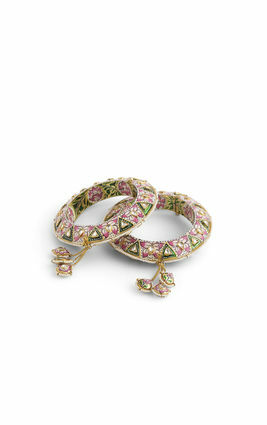 This gold-polished silver bangle is studded with circular white stones and delicately hand painted in hues of pink and green to add a royal air to your outfit. 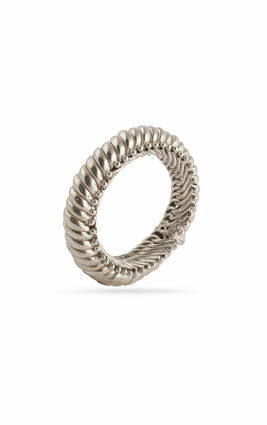 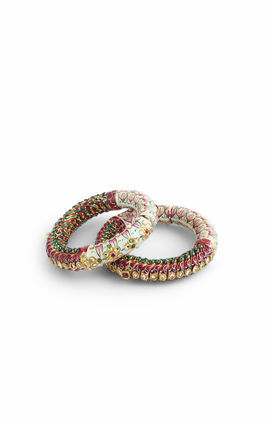 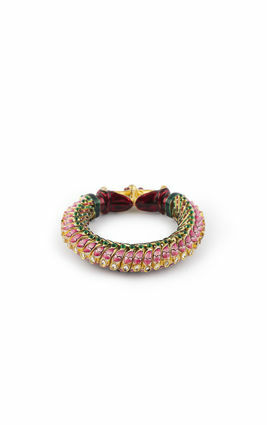 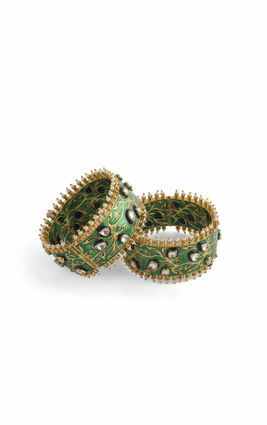 This bangle draws inspiration from the royal households of Bikaner to highlight the beauty of your wrists. 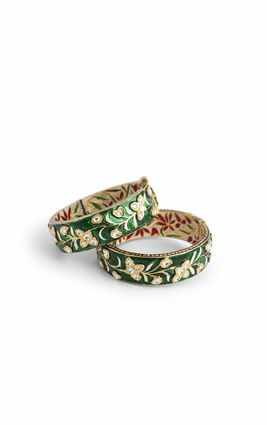 This gold-polished silver bangle is studded with circular white stones and delicately hand painted in hues of pink and green to add a royal air to your outfit. 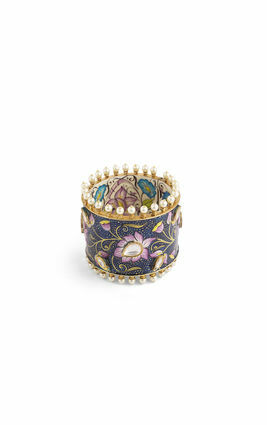 This bangle draws inspiration from the royal households of Bikaner to highlight the beauty of your wrists.